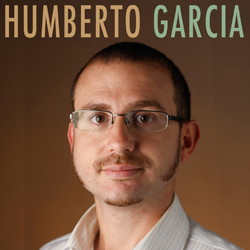 In this episode, we interview Humberto Garcia, associate professor of English at the University of California at Merced. Several years ago while teaching at Vanderbilt, Garcia started experimenting with blogs in his teaching, having students write short blog posts on a common course blog in lieu of the usual reading response papers. Humberto kept experimenting with blogs every semester, trying out creative new ways to use them both outside of class and during class. In this interview, Humberto talks about his reasons for teaching with blogs, as well as specific strategies he has used over time to integrate out-of-class and in-class learning through blogs. And he describes his experiments with classroom response systems as a way to incorporate student blogging in larger classes. Derek Bruff: [00:06] Welcome to season three of “Leading Lines,” a podcast on educational technology from Vanderbilt University. I’m your host, Derek Bruff, Director of the Vanderbilt Center for Teaching. [00:16] In this episode I interview Humberto Garcia, Associate Professor of English at the University of California at Merced. [00:24] I met Humberto several years ago when he was teaching at Vanderbilt. Back then, he started experimenting with blogs in his teaching, having students write short blog posts on a common course blog in lieu of the usual reading response papers. [00:36] Humberto kept experimenting with blogs every semester, trying out new ways to use them both outside of class and during class, too. He brought so much creativity to his use of course blogs that I started calling him “The Blogfather” of the English Department. [00:48] Humberto moved to UC Merced a couple of years ago. I hadn’t talked with him since then and I was eager to hear what he was doing with blogs these days. I was not disappointed. His use of blogs has only gotten more creative and intentional since he was at Vanderbilt. [01:02] And he started experimenting with classroom response systems, also known as clickers ‑‑ one of my other favorite educational technologies ‑‑ even combining clickers and blogs in interesting ways. I really enjoyed my conversation with Humberto, and I hope you will, too. Derek: [01:18] Humberto, thanks for talking with me this afternoon. I’m glad to have a chance to catch up a little bit and hear about your teaching. Can you start by giving us a sense of what kinds of courses you teach at UC Merced? Humberto Garcia: [01:34] Sure. Thank you very much for having me here. It’s a real pleasure to do this interview and share my experiences with blogging. [01:40] I think you know, overall I really use them for English courses with an interdisciplinary component. That is to say, English courses that intersect with history, the arts and sociology and various other disciplines. A lot of these courses are upper division and lower division courses. [02:07] I also teach survey courses that enroll from 50 to 60 students. Again, primarily in the discipline of English literary studies, which is my specialty. Derek: [02:21] Sounds good. You said upper division and lower division, so some majors, but then also a lot of non‑majors. Humberto: [02:27] Mostly majors, a lot of non‑majors. The lower divisions tend to have more non‑majors in them. Derek: [02:33] I remember years ago when you were at Vanderbilt in the English Department here, you and I did some work looking at how you might use blogs in your teaching. I was just impressed by how intentional you were as you started experimenting with blogs. [02:52] What was your initial interest in experimenting with course blogs? Why was that a tool that seemed like it had some potential utility for you? Humberto: [03:04] There’s three primary reasons for that. The first one is that I’ve come to the conclusion…I started with the hypothesis that really students learn best through informal writing. I’ve seen it through in‑class journaling assignments where they actually wrote journals with pen and paper. [03:23] What I discovered is that that mode of writing really picked up even better when you do it online and you have an actual online public audience. [03:31] That is to say, the students are doing informal writing assignments on a periodic weekly basis. They’re primarily writing not just to me, but to a larger online audience. [03:41] That changed the dynamics of writing incredibly and it really opened up possibilities for them to really think carefully about audience and how that shapes the decisions that they make as writers. [03:55] It created for a lot of more dynamic learning, and I really am firmly committed to the idea that actual learning works best at the level of writing, primarily informal writing. [04:05] Then the second reason is connected to that one in that a lot of this informal writing and thinking really feeds in very well to the formal research paper, or term paper. [04:15] There’s a strong synergy that develops in the way that students begin to explore these ideas through informal writing that then become, in a sense if you will, think of the blog posts as incubators for good ideas. [04:32] I should say that these blog posts are really about 200-350 words. They write them every week. [04:38] It has to do with their assignments so there’s a strong continuity of thinking and as they go along the way, they develop paper topics and they discover original ideas that they could actually work on and develop further into a term paper or a research paper project. [04:55] Then the third reason, I think, is the more basic one. It’s the one that really drove me finally to adopt the blog format. That is to say, that it generates much better discussion in class. [05:07] Students seem so much more engaged with the material once that they see that their opinions and their views and their interpretations are being valued by the professor and that other students get to see those ideas and engage with them and talk about them in class, so it becomes more of a student‑centered approach. [05:25] Students really appreciated that and really took off on that. It just made a better social environment, a more cohesive one. It created more sense of camaraderie in the class among students who felt that they were in charge of their own learning. Humberto: [05:51] Back then…more than it would say without the blogs. Which is to say that I would just structure discussions around questions of free writing assignments in class. I would do informal writing with them in class. I’ll have them keep journals as well. [06:09] What I found was that they were just disengaged with that kind of a writing. I think the reason, the key reason for that is that they didn’t have a public. With blogs, they have a larger public besides me. They have their peers and the online community. Derek: [06:37] So they might do the informal writing, but you were their only audience. It was only ever read by one person, but moving into blogs meant that they now were writing for their peers more than anyone. That audience somehow, as you say, helped them have better discussion, better community as a class. Humberto: [06:58] Yes. And the fact that they also became aware that they were writing to a public online, outside the classroom. They were surprised to see when there were occasions where strangers from cyberspace would come in and provide comments on their blog posts. [07:14] I would also share that in class to show that what they were thinking and what they were writing was making an impact in the world outside the classroom. Derek: [07:23] Wow, right. Typically, students might write for their professor. They might do some peer review in class, but this was taking it to a much wider audience. I want to come back to that in a minute. [07:34] Can you say a little more concretely what does a blogging assignment look like? What’s maybe a typical one? How do you work it in the class? How you grade it? What do the mechanics of it look like? Humberto: [07:53] First of all, what I do is I have them do it every week. Like I said, it’s about 200 to 350 word. It’s supposed to be informal and low‑key. [08:04] It is supposed to be continuous every week. I set it up by providing a very broad prompt, a question prompt, of some sort dealing with the assigned reading for that week. [08:14] I ask a particular question or a general question or I might ask a question that forces them to think about their reading in that week and its connection with contemporary events or issues of some sort or another. [08:39] I grade them usually on a letter grade basis because it’s most legible to them. They feel more comfortable when they see some A, B, or C and it gives them a better sense of where they’re at. It seemed that that model of grading has worked the best. [08:52] I do provide grading rubrics that explains very carefully what is an A level blog post assignment, what’s a B level, what’s a C level, what have you. They understand exactly what the grading criteria are. [09:08] Primarily, what I stress to them is that the key here is a sense of originality. That is to say, that they take calculated risks in providing interpretations that take us in new directions in our discussion about the material. [09:23] Or expose it to ideas that might seem strange and unusual but are still worth pursuing and thinking about in class and sharing with the online public. [09:33] That’s really the primary criteria I have for blog post writing. Again, the goal here is informality, that this is not supposed to be a mini term paper, although some students tend to skew in that direction sometimes, which is fine, too, because it feeds into the term paper writing. [09:51] But for the most part, this is supposed to be informal assignments, pretty much in a one solid paragraph, two solid paragraphs. Again, students get carried away very easily with these assignments. [10:03] For the most part, I see them write more than less. A lot of them tend to go way over the 350 word limit. It’s a way for them to flesh out ideas. It usually has worked very well in that respect. Derek: [10:16] What do you do with the blog posts after they’re written? Do you weave them into the class conversation? Can you give me a sense of how that works? Humberto: [10:26] Sure. There’s a number of ways in which I integrate them into the classroom. I also just make it a very general claim here, and just put this out there, that it’s absolutely essential that you integrate what’s going on outside the class with blogging with what’s going inside the class. [10:44] That is an absolute essential step if you’re going to use blog posts successfully. Otherwise, it becomes busy work. [10:51] There’s where you have to try hard as an instructor to find ways in which to connect what they’re doing online outside the class to what they’re doing inside. I have a number of ways of doing that. [11:07] I may start off a class discussion where I pick a particular student post. I say, “Well, here’s a very interesting idea worth discussion and it raises interesting questions,” or the student may have raised an interesting question in that blog post. [11:20] That’s a good way to kick‑start discussion. I may have them in the first 5 or 10 minutes of class free‑write, do a free writing in class with pen and paper, pretty much reflecting on what they wrote for that day for their blog post. [11:36] Usually, the way I have it set up is that the blog posts are due an hour before class time. That way, when they come into class, they already have something to share and something to write about. I have them do it that way as well. [11:48] Then for a class that I feel more confident about, where there’s a good sense of camaraderie and students feel comfortable with each other, I actually will have them work in groups into a workshop where they grade each other’s blog posts. I may pick a representation. [12:05] Let’s say, I’ll select about three student blog posts as an example from students who I feel are pretty much comfortable in sharing their work. They will evaluate, comment and grade in groups and then share the results and why they graded the way they do. [12:22] That works really well early on in the semester so they could understand and integrate the blog post grading criteria and how to write an effective blog post. That has worked really well. [12:33] Again, you have to make sure you have a class of students that feel comfortable with that. Otherwise, you could always try picking blog posts from your previous semester from other students. [12:42] That also helps ease anxieties. I’ve tried a lot of that as well. So those are just some of the ways that I’ve tried to integrate a blog posting class. There’s a wide array of examples. I’ll just stop there for the sake of time. Derek: [12:59] Do you also sometimes call on a student by name and ask them to share in the discussion something they had written about because you know they’ve got that in their head? Humberto: [13:13] Yes, it depends on the particular class, the student dynamics that are developing in there. Like I said, where classes develop a good social cohesion and rapport, I tend to call on them. They feel comfortable about that. [13:27] They actually feel very excited when their professor actually picks their blog post and talks about it and is willing to discuss their ideas and treat it respectfully and value it. They really like that. They feel a sense of respect. [13:40] They really love that, but there are other classes where students may be more shy, more timid, or may not be comfortable sharing their ideas in public. I try to respect those students as well. [13:55] It’s not always the case that I call out students by name. The ones that I do are ones that I know pretty well and I already know that they are comfortable with that. [14:04] I know that last semester, teaching with blogs among a class of 50 to 60 students where the anxiety levels for participating publicly are pretty high, I would certainly not call on any student. [14:18] What I did in that scenario is that I actually provided a list where I told students to write their names if they feel comfortable sharing their ideas on the blog post. [14:29] If they don’t feel comfortable doing so, do not write their name on that sheet. I’ve had about 20, 25 students that felt comfortable, but there were the majority of the other students who felt uncomfortable. [14:40] There are various ways of gauging that. You have to sort of finesse that. It really is contingent on the kind of social environment that you have. The enrollment level really plays a major role. I would say that blog posts work most successfully when you have a class of, let’s say, 10 to 15 students. [15:02] I think that’s the ideal environment for me because it really creates a kind of intimacy that is really conducive to good learning. Once you start getting into larger enrollments, it becomes more difficult and tricky how to integrate their voices from the blog posts. Derek: [15:20] It sounds like you’ve done it with 50 or 60 students. You still find a way to use them productively? Humberto: [15:24] Yes. Primarily, like I told you, by creating a list where students who felt comfortable sharing their work would write their name and then I would call upon them, so it worked at that level. [15:38] Students who felt less comfortable, over time, actually began to open up and participate once they saw that their peers were doing it and that there was no major social risk. A certain comfort level set in. [15:50] Then those who were not willing to sign up at first, actually began signing up later on in the semester. There was that kind of level of participation. [16:01] I should also mention here, and interject, and say that there are new ways that I’ve started using the blog posts that have helped with large enrollment courses and that’s through the integration of blog post writing and clicker technology. [16:16] I would use Top Hat clicking technology to set up questions where I would get students to read, let’s say, three representative examples of student blog posts. Then have them vote through a question which one they thought was the most effective interpretation of the literary text, which one of their peers offered the best, most concise interpretation. [16:38] Even those students who felt uncomfortable using the blog post medium were able, however, to indirectly participate by using clicker technology and providing some input indirectly into their peers’ work. [16:53] There were ways that I was able to reach those students who were either too shy or uncomfortable with the blog post exercises — or were, perhaps, a little bit too jaded about using this kind of blog post period — but nonetheless were able to participate, at least anonymously and indirectly through clicker technology. That worked very successfully, I should say. Derek: [17:17] Well, I think you know me well enough to know I found that very exciting. [laughs] I liked that example a lot, having students look at each other’s work and then using some type of classroom response system, polling system to have them perform an analysis or an evaluation and, like you said, decide which one was the best answer to the question. [17:38] I can imagine you could give them lots of different criteria to apply to a set of blog posts and pick the best post that matches that. I love the idea of using a clicker system to have students look at their own work. [17:56] That kind of classic classroom response system is the instructor creates the question and the answer choices ‑‑ A, B, C, D– but in this case, you’re having the students look at their own work in this structured in‑class activity that I would imagine works great, whether you have 20 students or 100 students. You could structure it well with the classroom response system. Humberto: [18:19] That’s right. That’s one of the major discoveries that I made using clicker technology actually, that I would use the clicker technology in a way to structure a lot of the ideas that were coming through through the blog posts. [18:34] For example, I would get 50 students blogging. It’s impossible for you to actually engage with 50 students directly in class. I mean, it’s impossible, but a lot of key themes and ideas would emerge from a lot of these blog posts, so I would use that as a way to structure and develop clicker questions. [18:55] That way, I was still engaging with their blog posts in a very mediated form, through clicker technology. Students registered that. They saw that. [19:04] Their work was being, in a sense, indirectly evaluated and responded to from their instructor. Then they were forced to further think about and prompted to discuss these ideas that were in a sense generated through them, not me. [19:20] That ended up also a very helpful exercise for structuring discussion, particularly in large enrollment courses. Derek: [19:31] I think one of the challenges that instructors have when they’re writing clicker questions is to write a really good question, particularly a multiple choice question. [19:39] You need to get inside your student’s head and try to have a sense about how they’re thinking about a particular question or topic, the different perspectives or backgrounds or experiences or ideas that students have. [19:50] Writing the answer choices requires a little bit of that imagining what it’s like to be a student and come to this question. What I’m hearing from you is you don’t really have to imagine so much. [20:02] You just have to read their blog posts before class and then structure some of your questions around that. That would mean that you write those clicker questions fairly soon before class, right? It’s not something that you do a week in advance. Humberto: [20:18] I would do it an hour, two hours before. Of course, I have a lot of students that start blogging earlier on. Some of them might start blogging the day before, so I already can anticipate some of the major themes and ideas that are developing. [20:32] I should also say that when you start using blog posts periodically, you become a better mind reader as an instructor. You can anticipate a lot of the ideas and a lot of the things that students are going to say and how they’re going to interpret. [20:47] Like I said, this is a point I made earlier, that it really helps with instructor preparation because you don’t have to just guess what your students are going to do. [20:57] You have a pretty good proximate of what students are going to be thinking once you start using blog posts periodically. That helps as well. [21:08] Really, when it comes down to actually writing the clicker question, I really do it that hour before, but I already have some possibilities of what that question might look like hours before, if not even a day in advance. Derek: [21:20] That makes sense that you would read some of the early blog posts….You know your material. You’re not starting from scratch. Derek: [21:29] Making those connections. I like that idea a lot. A few other questions about blogging. [21:36] One of the things that I actually got to see you do once when you were at Vanderbilt was have students write blog posts, or rather comment on blog posts, during class. Is that still something that you do, maybe, in some of your smaller classes? Humberto: [21:51] Yes. That’s another very effective way of integrating out‑of‑class blogging with what’s going on in class. [22:01] I have them do that periodically, both in my smaller classes and also my larger enrollment classes, where they go ahead and they provide comments on their favorite blog post. [22:14] I provide a very key question, “What is the most original idea presented in this blog post, and how can it be enhanced or improved?” That’s always my guiding question. [22:23] Students already know what they’re going to be responding to. I ask them to provide three to four sentences, or five sentences at the max, that would answer that particular question and why they picked that particular blog post as their favorite. [22:41] I’ve set it up in that way. It’s always been very productive. It gets them to engage with their peers and see what their peers are actually writing, especially for those students who, let’s say, may not be keeping up with what their peers are doing online. [22:55] There’s always those students that lag behind on the blog posts and don’t see what their peers are doing. It’s a great way for them to see that there’s actual learning going on online and also to get them really engaged with what their peers are saying. [23:11] It really is, again, a great way of kick‑starting discussion in class because right after that 15 or 20‑minute exercise of doing in‑class blogging, then they start discussing their ideas. [23:23] By that point, the instructor really doesn’t have to facilitate that much, really, because all the main ideas and the questions and the interpretations are on the table. Students can see what the learning goals and the intellectual agenda for that day will be. They go ahead and they jump for it. [23:43] Again, it also ends up producing the sense of camaraderie and good student rapport and community building. [23:49] That’s another very key function of effective blog use that both integrates what you’re doing out of class, in class. In‑class blogging is something that I do very often and I find it very effective. Derek: [24:02] Let me ask this. You mentioned your blogs are sometimes open to the world, but I recall that some of your blogs were not. Is that still a choice point for you as to when to make the blog just for the students and when to open it up for the entire Web to view? Humberto: [24:20] At this point, I keep all of my blogs public because I’ve learned over time that having a real public out there that students engage with is very essential to their learning, particularly learning through informal writing. [24:33] That’s a key component to the whole blog exercise. I don’t make any course blog private anymore. There was only one class where I chose…Well, I should say two classes where I chose to make it private. [25:08] I felt that writing for the public there won’t really be as helpful because it would involve for them to have to translate very complex theoretical paradigms in more layman terms. [25:21] At that point, I felt like that was not really helpful for them to deal with their own learning through these theories, which is a more specialized and technical language. [25:32] I would say the same for graduate seminars. I feel like making graduate seminars and blogging through graduate seminars in public would not be helpful. Especially, it would generate so much anxiety on the part of grad students. [25:46] And also as well as honor students who, in many ways, are very anxious about what they’re thinking and how other people might perceive what they’re saying. Those are the cases where I would choose to leave it private. [25:59] The other instance where I’ve left it private was in a course where we were dealing with a sensitive political issue, dealing with issues of Islam and Islamophobia, where a lot of students initially, at first, expressed a lot of concern given the political climate. [26:15] That talking about Islam in certain ways might generate political backlash online and how to deal with the harsh issues of Islamophobia, especially to a larger American public. [26:30] There was so much anxiety about that and about the way that their blog posts might be perceived online and how their friends or family members might be reading them, that I’ve chose to make it private. [26:41] However, by the end of that semester, once they had written so brilliantly online about the topic of how Islam is represented in British literature in the 18th and 19th century, and they reflected back on their writing, by the last day of class students unanimously voted to make the private site public. [27:20] At that point, after they’ve written and they saw what they’ve done, they felt more comfortable sharing with the online public, so I made it public at that point. [27:27] I think from that point onward, I’ve chosen pretty much almost all my classes, except the highly specialized courses, let’s say, like an honors. With that exception, all my other courses are really public. Derek: [27:41] Wow, that’s a really great story, Humberto. I had remembered that course and how you had made the decision to make it private. I hadn’t heard part two of that story, the decision the students made at the end of the semester. That’s pretty amazing. [27:58] Can you say more? I know you mentioned having students engage in these kinds of creative projects, not just the informal writing that they do in the blog. [28:08] I gather that you also have your students do more significant creative projects now in some of your courses. Can you say more about why you do that and what that looks like for your students? Humberto: [28:19] Sure. That’s a new level of experimentation that I’m currently working on and since past semester, I’ve been trying to implement in the courses. [28:29] That is to say that students, especially here where I am at the University of California Merced, are very keen on creative modes of expression and aesthetics. The blog post is an excellent platform for that. [28:44] What I have them do is at the end of the semester for this course I was teaching…I was teaching an upper division English literature course on the 18th century. [28:52] At the end of the semester, I have them do a creative writing project where students pick one particular literary text that they’ve studied, and they parody or imitate it for a contemporary audience. [29:06] They have to reinvent the form and experiment with various mediums to recreate that literary work and show how that literary work still has the power, or the aesthetic power, and the intellectual power, if you will, to communicate to an actual audience today. [29:26] The blog post really lent itself really well to that because I saw a lot of amazing examples of students who were just completely inspired by this assignment and by the blog post, in terms of what it allowed them to do. [29:40] I’ve had students create music videos of poems, rap songs, visual expressions, series of paintings or slides, just various forms of creativity that involved both the visual and the audio that were integrated on the blog posts in ways that surprised me and that I never even anticipated. [30:06] It’s because of what the blog post and particularly the creative use of blog post does, it taps into analytic skills from students that usually don’t feel like they could adequately express those skills through the traditional genre of the term paper, or the research paper, which for a lot of students really is an archaic form for them to engage with. [30:48] That taps in into a different analytic skill set that they could then use to explore the material in fresh ways and one that directly integrates with their personal lives and with their contemporary moment and actually facilitates that sense of deep learning that we talk about that is so essential to what is it that happens in our classrooms. [31:10] That deep learning experience that ties into the material they’re learning to their lives and to the values that they hold. [31:17] It’s really the creative writing component where I’ve seen, especially being at this institution, at a public institution over here in California, where a lot of students here are first‑generation students who are entering college for the first time, don’t have any idea what the genre of the term paper and the research paper mean. Then they feel there’s an open invitation for them to engage with the mediums that they feel comfortable with ‑‑ music videos, email, Instagram. [31:48] I had a student recreate a poem from the 18th century in the mode of Instagram, for instance, and engage in various types of mediums that they feel comfortable with, and it’s part of their media ecology to then engage in this deep learning. [32:05] For that reason, I’ve begun to switch more toward non‑traditional modes of writing, particularly this creative project that I have them do at the end of the semester. I think it’s going to become more standard as I move forward teaching with blog posts. Derek: [32:24] Humberto, I’m going to end with a question we ask all of our guests. [laughs] You talk a lot about digital educational technology on this podcast. What’s your favorite analog educational technology? Humberto: [32:40] Well, I think that would have to be the good old‑fashioned overhead projector. That would be what I would consider the old analog model. It’s certainly the model that I learned when I was in college. [32:56] They used transparencies and put them in the overhead projector and get them to show up in a screen. [33:03] I know that some of these might seem clunky and such, but I think that they still have a value to them. And I think despite all our talk about the sophistications that are available through blog post writing or engaging with clicker technology or such, I think there’s still much value in the old‑fashioned technology, like the overhead projector. [33:25] And I think here’s a key feature, and something to keep in mind as well, and why you want to still continue using those in the classroom in combination with blog post writing and other forms of more sophisticated technology. That is to say that it provides you a sense of manual dexterity. [33:43] What I mean by manual dexterity is that, with these old‑fashioned technologies, you could just pick it up with your hands. You could write on them at the moment. [33:52] If we’re analyzing a poem and I have it on an overhead projector, I can actually just go right in and just write notes, circle words, tease out meanings and model for students at that moment in how to engage with the literary text and doing a close analysis of it. I can’t really do that so well and so successfully through blog posts actually. [34:16] It doesn’t give me that manual dexterity. I still have my favorites, in terms of the overhead projector, which I think helps me do that and sometimes in much better ways than these more sophisticated, newer modes of technology. Derek: [34:31] That’s great and I know what you’re saying. I’ve seen faculty use overhead projectors and transparencies and document cameras as well to really put a text in front of everyone, mark it up and talk about it in really intentional ways. [34:48] Thank you for talking with us, Humberto. This has been really fascinating. [34:53] I’ve long been impressed by how intentional you are about the ways you use technology and build them in and change their use over time. [35:02] I really had fun hearing about some of the creative uses that you found for blogs and other technologies today. [35:08] Thanks for this, Humberto. This has been great. Humberto: [35:10] Well, I thank you for having me. This has been a real pleasure to share my teaching with blogs. Thank you so much. Derek: [35:20] That was Humberto Garcia, Associate Professor of English at the University of California at Merced. [35:25] In the show notes, you’ll find links to information about Humberto as well as a couple of his course blogs. You’ll find those show notes on our website, leadinglinespod.com. We welcome your comments and questions there and on Twitter where our handle is @leadinglinespod. [35:39] You can subscribe to our podcast through iTunes or your other favorite podcast app. If you like what you hear on the podcast, please leave us a rating and a review on iTunes. That helps other listeners find the show. [35:50] Leading Lines is produced by the Center for Teaching, the Vanderbilt Institute for Digital Learning, the Office of Scholarly Communications, and the Associate Provost for Digital Learning. [35:57] This episode was edited by Rhett McDaniel. Look for new episodes the first and third Monday of each month. 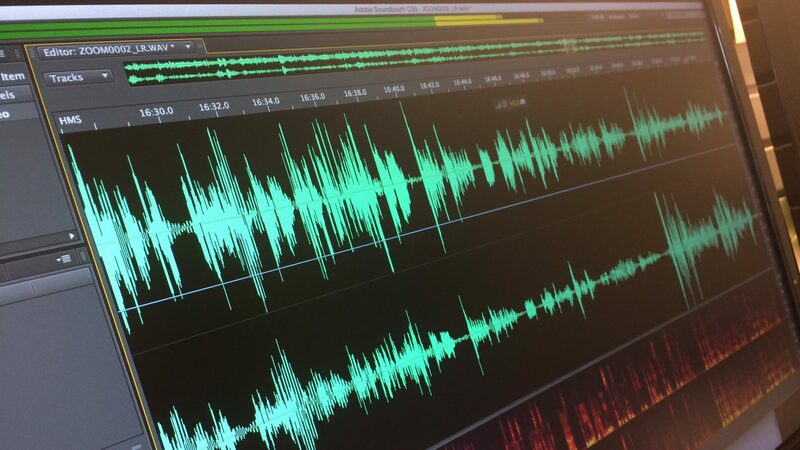 We’ve got several great interviews already lined up and recorded for Season Three. Derek: [36:07] I’m your host, Derek Bruff. Thanks for listening.